Every new year and new season sees new fad diets and trends lining bookshelves and littering social media. However, the fad diets of 2016 so far seem to have got something right. High protein diets have seen a particular surge in popularity this year, more people than ever are turning to vegetarianism and veganism, superfood and green veg smoothies are flooding supermarkets and the diet sheets of fitness fanatics, and people are reaping the benefits of preventing waste by paying attention to food prep and meals made with leftovers, and ‘eating clean’ (eating meals and natural produce with no additives). It seems 2016 is set to be one hell of a healthy, economical and ethically sound year for food. The one feature that all of these diets and lifestyles have in common? Yep, you guessed it, green vegetables. Those of us who are passionate about eating and growing Brassica vegetables have always tried to educate people about the benefits of eating green. From improved eyesight, immune systems, and respiratory systems, to reducing the likelihood of developing types of cancer and diabetes, and clearing the skin of spots and blemishes, it seems people are beginning to sit up and pay proper attention. However, it seems that when we were going blue in the face by telling people that green veggies are not only healthy but tasty when you choose to do something a little more adventurous with them than boil them to death, we missed out one key detail that 2016 has latched on to: Brassicas are extremely low in carbohydrates; the arch villain of current fad diets. 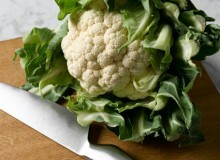 This has seen a surge in people using brassica veggies in lieu of high carbohydrate foods, such as potatoes and rice. Cauliflower rice is now a common side dish for curries and stir-fries, and swede and kale chips are replacing potato and sweet potato fries. Brassicas such as kale, broccoli and sprouts are also being loaded into smoothies in order to replace sugary fruits with vitamins and protein. 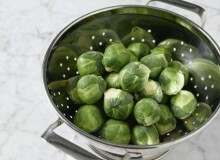 The craze for ‘clean eating’ has also seen more and more people buying and growing plenty of Brassica veggies, as people are beginning to realize that preparing and cooking your own food means that your meals will contain less additives and preservatives, such as unhealthy oils, chemicals and salt. Food prep also decreases waste, as you are more likely to buy the right amount for what you are planning to do, and growing your own veg means that you side-step the sometimes wasteful practices of unethical farming used and perpetuated by large supermarket chains. 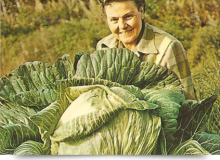 So, as passionate Brassica lovers it’s been a really tough year for us so far, as we have been dying to scream ‘hate to say I told you so!’ at all of those people who swear by the latest fad diets. But in actual fact, the trends of 2016 don’t seem to be fads, but they espouse the values of healthy eating, nutrition and waste reduction, the very values that we at Love Your Greens have always been passionate about. Here at Love Your Greens, we are passionate about promoting a healthy lifestyle that encourages people across the UK to eat more and cultivate their own green vegetables. Nothing proves how dedicated we are to improving the UK’s wellbeing more than our most recent endeavours. May has been a very busy month at Love Your Greens. We began by launching our own online TV Channel, which features programmes on how best to cultivate, prepare and cook brassica vegetables (cauliflower, cabbage, broccoli, sprouts and swede). Some of the guests we have presenting the programmes are Aaron Craze, Jamie Oliver’s protégé and presenter of Junior Bake Off, and Michelin star chef and restaurateur Mark Sargeant. The aim of Love Your Greens TV is to engage with the UK public on an interactive and direct level, so as to truly encourage a healthy lifestyle. Users can even stream the videos straight from the vegetable patch as they’re planting vegetables! The beginning of May also saw the launch of our free multi-platform eBook, ingeniously entitled Love Your Greens. The eBook is free to download on all Android and Apple devices, and features recipes from Aaron Craze and Mark Sargeant. 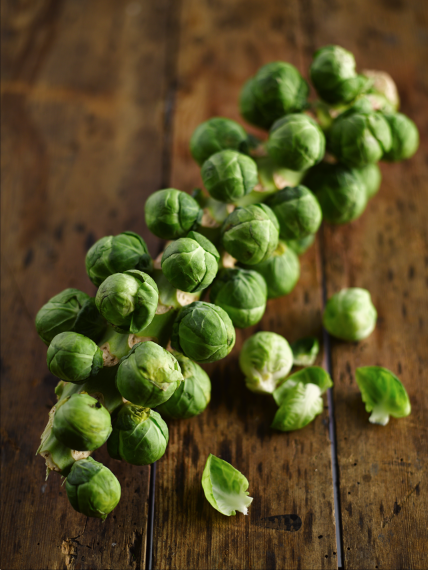 The eBook also features over 60 recipes from children around the UK, who entered our competition ‘Tuck In’, which invited children to submit recipes using brassica vegetables. Informing children about the benefits of eating plenty of green vegetables at a young age is of utmost importance at Love Your Greens, as it sets them up to live by the ideals of wellbeing and good health for the rest of their lives. The purpose of releasing the eBook at no cost is to make the methods of maintaining a healthy lifestyle accessible to all, particularly in our highly digital age. Our users can open our recipes on their phones or tablets right next to the cooker. Our campaign to keep children informed about the benefits of eating and growing your own green vegetables particularly took off when we sent over 34,000 packets of seeds to children all over the UK, as part of our Village Fete campaign. The Village Fete campaign encourages the public to grow their own vegetables and send in pictures of their weird and wonderful greens, with categories such as vegetable animals, the most unusual green vegetable and the funniest green vegetable. Participants get the chance to win an eReader, where they can download our eBook, Love Your Greens and make use of our expertise. We at Love Yours Greens are truly dedicated to improving the health and wellbeing of the UK public, and we will continue to engage with people on a variety of different platforms to get Britain eating green. 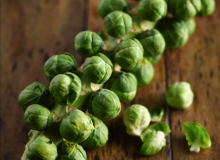 The book features contributions from award-winning chefs, including Jamie Oliver’s protégé Aaron Craze, so that you can discover thrilling new methods to enjoy classic brassica vegetables (broccoli, cauliflower, swede, sprouts and cabbage). It also features fun facts, storage advice and a whole host of cooking suggestions and recipes so that you can make the most out of your greens. The best part? It’s completely free! Our mission in life is to get Britain eating more greens, and what better way to do that than put all of our greatest ideas and recipes in one place, so that you can download it for free with one simple click of a button? It’s always tempting to reach for the takeaway menu on a Friday or Saturday evening after a hard week at work. Now, you don’t even have to bother googling a takeaway number, simply reach for your phone to access quick, easy and healthy recipes. The thought of tucking into a comforting but calorific dessert on the sofa is also inviting, but we have a solution for that, too. Our new book contains innovative recipes which replaces high-gluten and high-carb binding ingredients, such as flour, with brassica vegetables (we told you we were clever). Eating healthy has never been so easy! The book is available for download on Android devices here, and it will soon be available for Apple devices too. Love Your Greens TV Launches! Facts | Growing | Lifestyle. That’s right, we’ve launched our very own TV channel, where you can stream the latest videos on how best to love your greens. 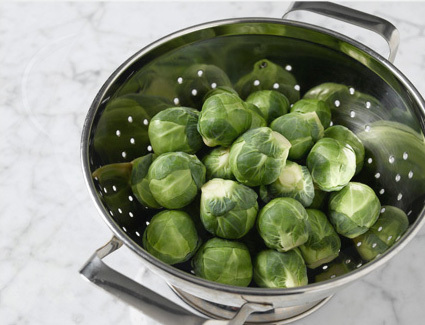 Here at Love your Greens, we’re passionate about our green veggies. Not only are they packed full of goodness, they’re incredibly versatile, have bags of flavour and are really rewarding to grow and cultivate yourself. Love Your Greens TV is a new and more interactive way of keeping up to date with all things green. On Love Your Greens TV, there will be videos from celebrity chefs showing us how to cook our greens to utilise their wonderful flavours, textures, colours and health properties. So, if you ever need any inspiration in the kitchen when cooking healthy, look no further than Love Your Greens TV! You can stream away on your laptop, tablet or smartphone, so there’s no need to worry about being near a TV set when you cook. Along with green culinary expertise, there will also be tutorials on how best to grow and cultivate your broccoli, cauliflower, sprouts, cabbage, swede, and a host of other greens. If you’re having a hard time in the garden, have a quick look on LYG TV to see if we can lend a helping hand. Our own fantastic growers may even make appearances from time to time! You can stream our videos straight from the vegetable patch without having to go in and out of the house. Be sure to head over to the TV page on our site and check it out. We update it regularly, so be sure to visit us as often as you can. And remember, Love Your Greens!